I have attached a picture of the Turning Twenty Around the Block Quilt that I made my granddaughter for her birthday and baptism for our church. I put a few pictures in it and it turned out great. 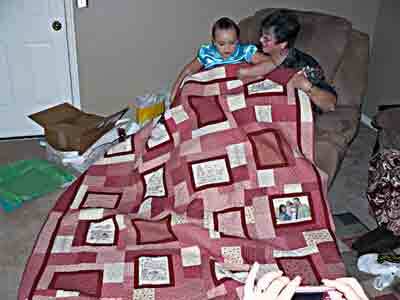 I loved working on this quilt. It was so easy to put together. Thanks for a great pattern.